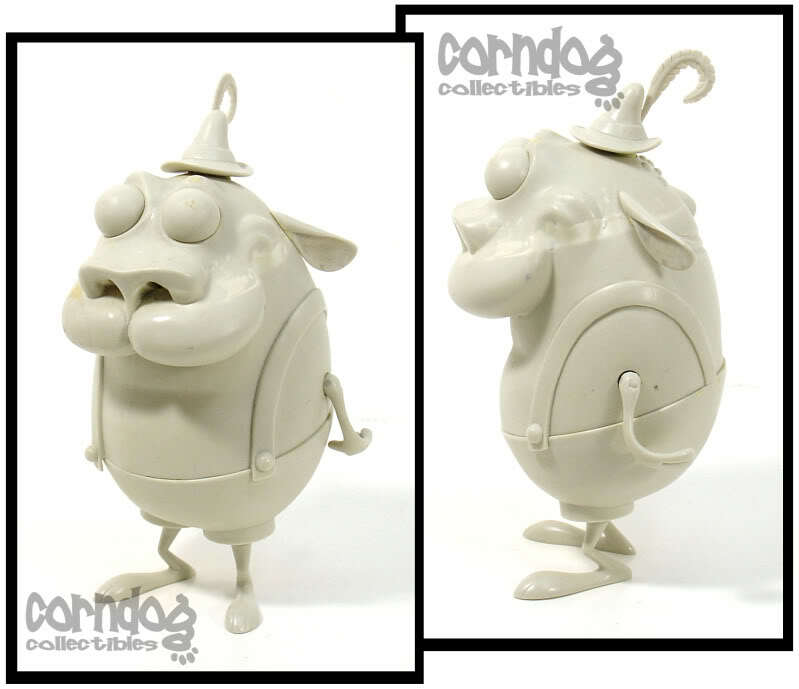 Details and tidbits on unreleased toys are always fascinating to uncover. Each cancelled toy line, lost action figure and unrealized concept is a piece of toy history that many will never know about. Enter Blake Wright, who is looking to shed light on some of these long forgotten toys. He has opened a Kickstarter to finish up a book called Toys That Time Forgot. A book that will look at the unreleased toys and action figures of the 80’s, 90’s and early 2000’s. WHAT IS TOYS THAT TIME FORGOT? Do you remember back in the early 1980s, playing with all of the toys based on the sci-fi fantasy film Krull produced by Knickerbocker Toys? 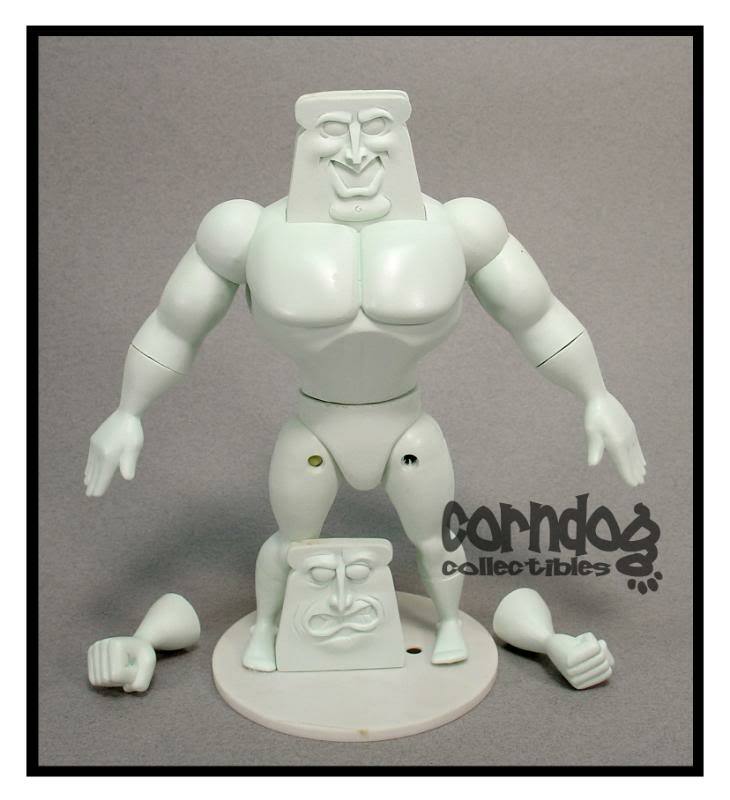 What about the Masters Of The Universe meets Rock ‘em Sock ‘em Robots line that was Hasbro’s Tribes range in the early 1990s? Or all of those ReSaurus-made action figures and role-play accessories based on the break out video game Oddworld in 1997? No? Well, that’s because they were never made. But would it shock you to learn that each of these examples were well on their way to being produced? Stories like these are more prevalent than one might think. Each have a separate, unique set of circumstances with a single common thread — the majority of them have gone untold. 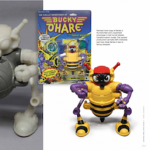 A new book, TOYS THAT TIME FORGOT, aims to shine a light on some of the more interesting, higher profile boys toys and action figure projects that made it all the way through to prototype stage, but for whatever reasons never made it to retailers. Some of the stories are funny. Some are painful. Most are well worth documenting. Written and complied by journalist Blake Wright, the 200-plus page hard cover book will take an in-depth look at over 20 instances of toy lines that suffered these type of fates. Stories are supplemented with supporting photographs of the production process, existing prototypes, control drawings used to create the sculpts, concept sketches and more. The stories (and supplemental materials) have come straight from the men and women that lived them — from inventors and sculptors to project managers and toy company executives. The book’s foreword will be written by Jordan Hembrough (aka The Toy Hunter), owner of Hollywood Heroes and vintage toy guru for over a quarter century. TOYS THAT TIME FORGOT will be split into three sections: The Golden Age (1980s), Darker Times (1990s) and The Gilded Age (2000s). Each section will have entries representing a healthy mix of both licensed and inventor-based products… some of which have never been seen by the public. To date, there has never been a book that has covered this topic. With your help, we can change that! If you’d like, you can back the project by Clicking Here. To guarantee yourself a copy of the book, you must pledge a minimum of $45 (Early bird). Hmm...30,000$ just for printing?! seems weird. 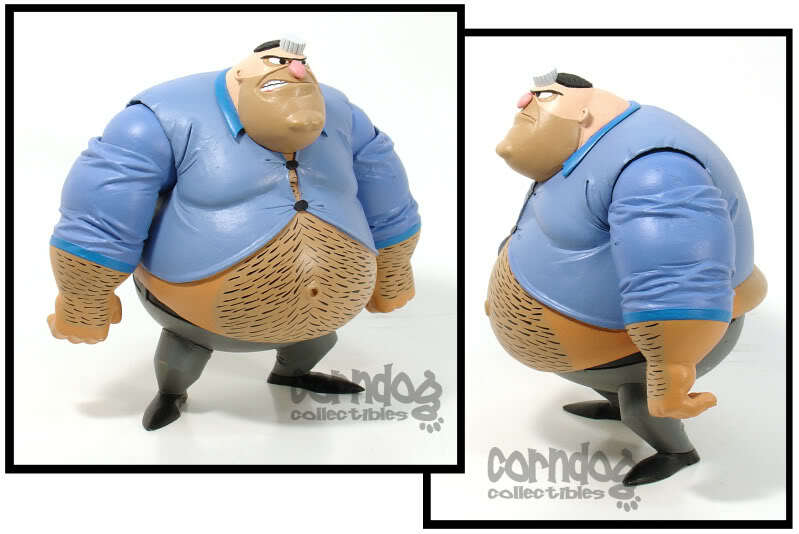 I really like the idea though, which is really fun and depressing at the same time (the magic of unreleased toys). It's also bummer you only get reward from 45$ pledge. What an interesting book! I'd totally consider buying a copy if it actually gets published. I'm in, sounds like a fun book and a welcome addition to my library. Ditto. Just looking at that first sample page, I remember desperately wanting my very own Dark Crystal shard. That's the whole crystal. Check out the funk reaction dark crystal. You build it just like the one in the picture and Jen comes with a tiny shard that fits in. Want to know what would be better than a Kickstarter for a book with a bunch of pictures and info I can probably already get on the net? How about a Kickstarter for the actual figures? Yes, a kickstarter for producing these toys would be amazing! You'll break the bank trying to make that. Each character (large and small) comes with a piece of the Crystal and you can't complete it without all the characters. I'd like some more info on the cancelled line of Mega Man toys based on the cartoon in the 90s. There were also cancelled figures based on Mega Man NT Warrior. "Break the bank"? There are five funko reaction figures needed to complete the dark crystal. They are $8 each. If $40 will "break the bank", you probably shouldn't be buying toys at all. I live in the US. I got all mine for $7.95 from Barnes & Noble's website back in December. They still have Jen, Ursol, and Kira in stock. I have no idea where to get them in the UK. This book is awesome. Wanting a copy big time. 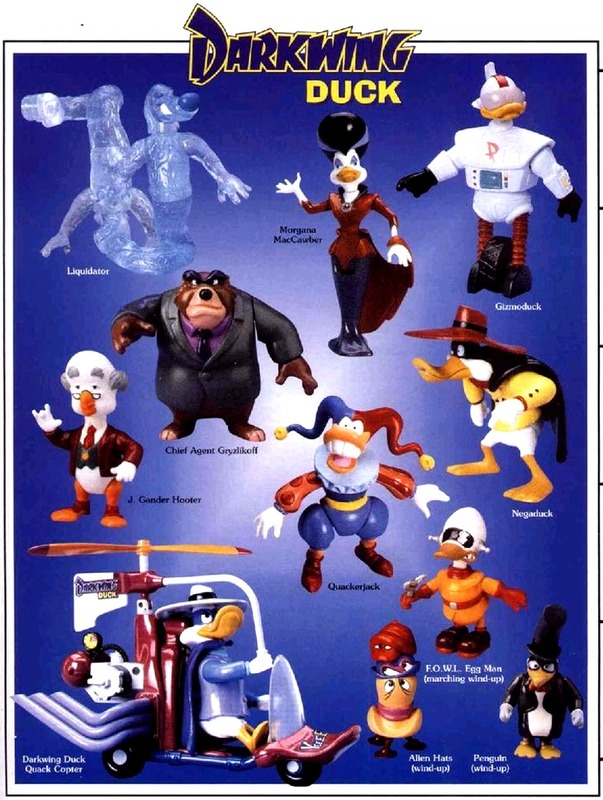 My all time favorite unreleased figure hands down is Gizmoduck from the Darkwing Duck line. 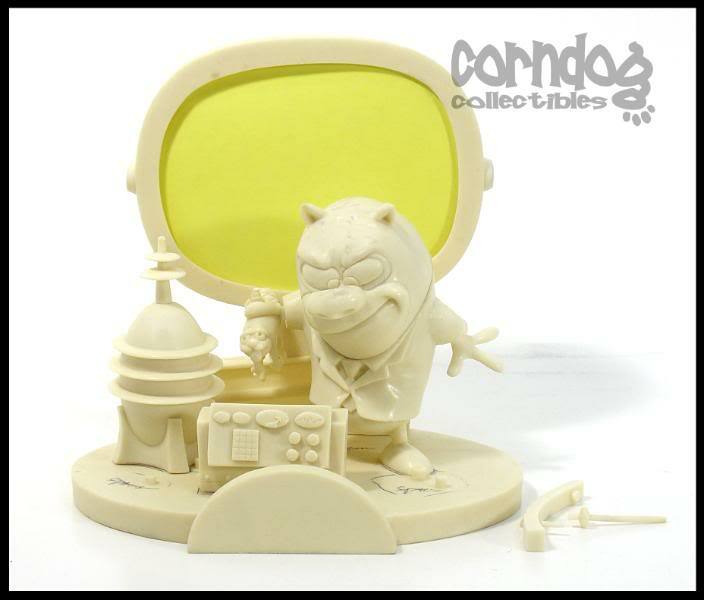 Hopefully we'll get a figure of him since Herocross: Hybrid Metal Figuration are making a Scrooge McDuck and Huey, Dewey, and Louie Duck. 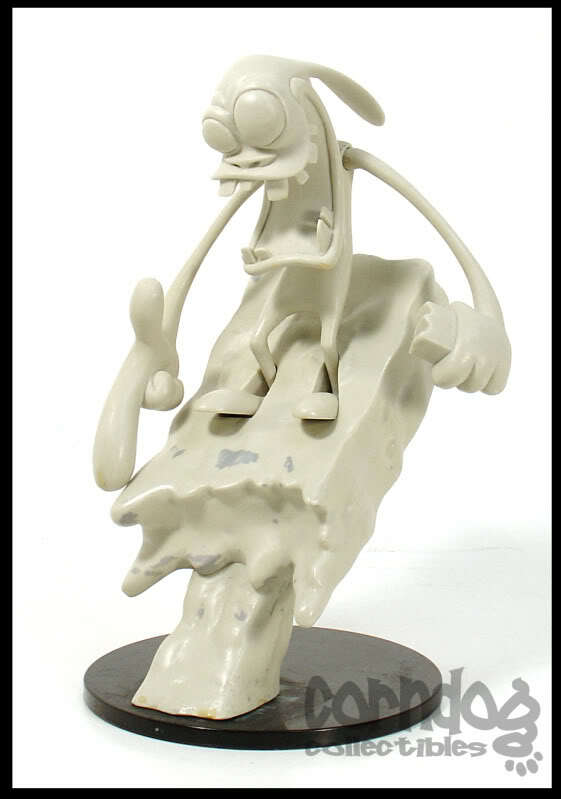 My all time favorite unreleased toys are the second wave of Ren & Stimpy figures that Palisades was working on before the end. I really wish SOMEONE would come along with the same talent and do these figures justice. I hope these figures are represented in the book, that would be awesome. All times are GMT -4. The time now is 4:43 PM.